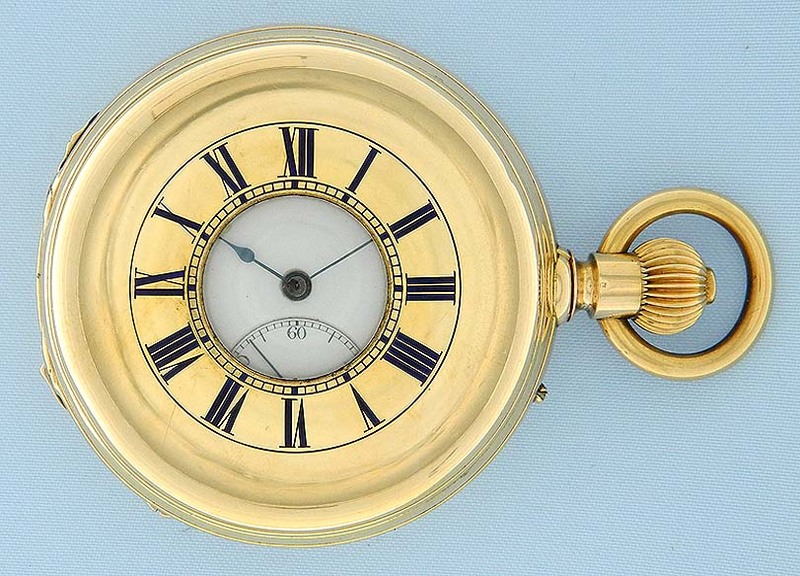 Fine and scarce Swiss 18K gold Grande and Petit Sonnerie repeating clockwatch antique pocket watch circa 1900. 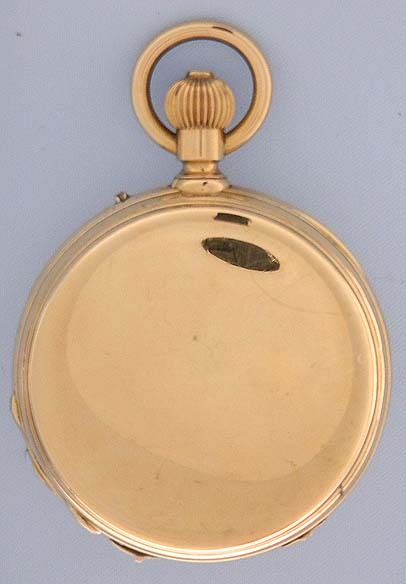 Heavy plain polish demi-hunter case with blue enamel numbers on the cover. 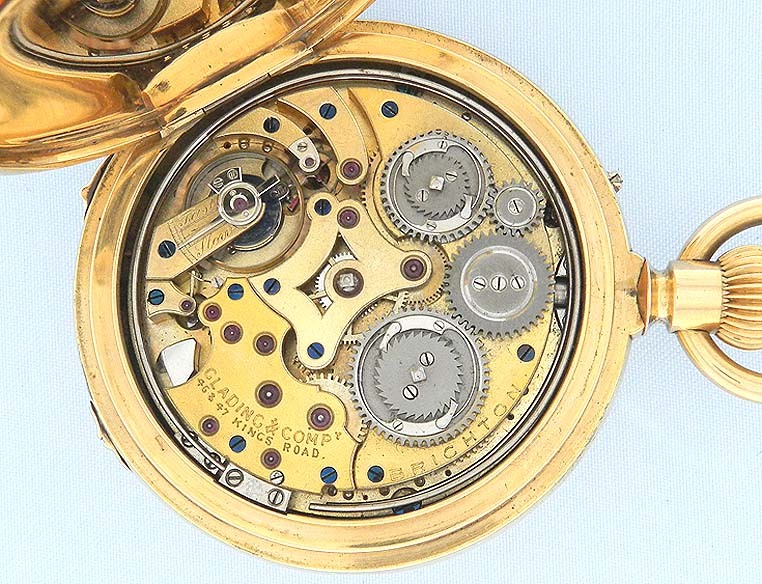 Slides in the case band to select Strike/Silent, Quarters/Hours & Quarters, and to activate the quarter repeater. White enamel dial with blued steel hands. Fine frosted gilt 32 jewel tandem wind movement with frosted steel work, jeweled to the center and the hammers, and with the name of the English retailer. 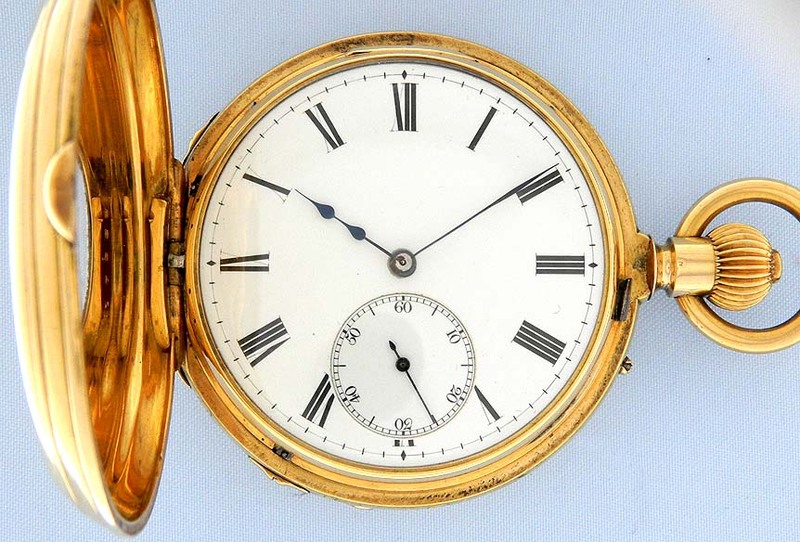 With the selection lever in the grande sonnerie (or full strike) position this watch automatically chimes the hours and quarters every 15 minutes. This means that 1:15 has a different chime than 2:15. 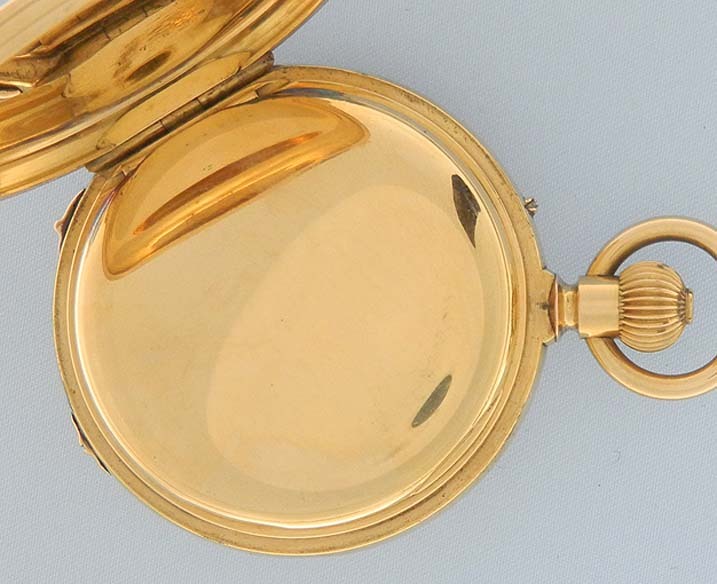 In the petite sonnerie (or half strike) position the watch automatically chimes the quarters without the hours. Silence means the watch does not strike automatically. When the slide in the band is activated, this watch chimes the hours and the quarters with a lovely chime. Excellent example.